This is a close-up of the rock seen in image PAL-04 . The larger white crystals are plagioclase feldspar (p in the lower image). 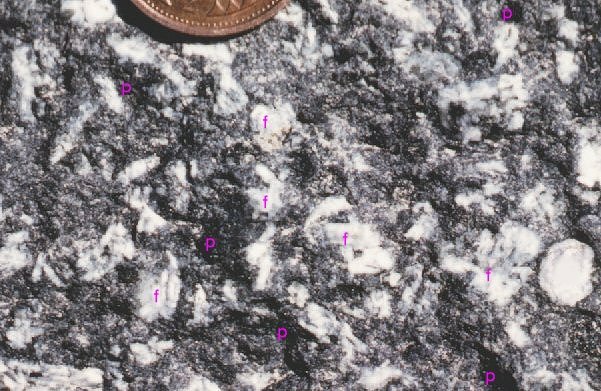 In between them are smaller crystals of darker minerals, mainly pyroxene (p).